A medical imaging physician (a radiologist) is a highly-trained medical doctor. The training includes four years of medical school after college, four to five years of further training beyond medical school in an accredited radiology residency program, and one or two years of sub-specialization in a target field of the radiology discipline such as computed tomography or interventional radiology. Dr. Madonna and Dr. Whitford have completed all of the accredited training programs, and are board certified in the specialty of diagnostic radiology. 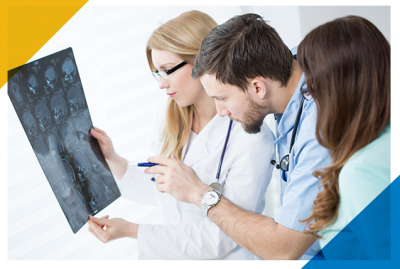 Contact us today to learn more about our radiologists’ credentials, or to schedule an appointment with our Pittsburgh team.